For three days leading up to Mai. 17, the Norwegian Independence Day, a diverse group of people gathered in Oslo including investors, entrepreneurs, scientists, lawyers, academics, volunteers and artists – all of whom have at least one thing in common: they are all concerned about climate change. The occasion was the second annual conference for a new Scandinavian initiative that pursues practical solutions for the UN sustainability goals and Concerned Students editor Devyn Remme was there to see what they had come up with. Under the umbrella organization of Nordic impact, Katapult is a non-profit movement to drive positive societal change through technology and impact investing impact investing (investments made with the intention to generate a measurable, beneficial social or environmental impact alongside a financial return). Katapult aims to encourage investing in businesses that are using scaleable technologies to solve problems related to climate change and sustainability. Katapult Future Fest (KFF) is the global hub where change makers come together to connect, discuss and collaborate towards a more sustainable and inclusive future. The days are filled with speakers, in-depth workshops, panel discussions, fireside chats, hackathons and dinner parties. Every activity is linked to address one or more of the UN Sustainable Development Goals and accelerate success towards reaching and transcending them. 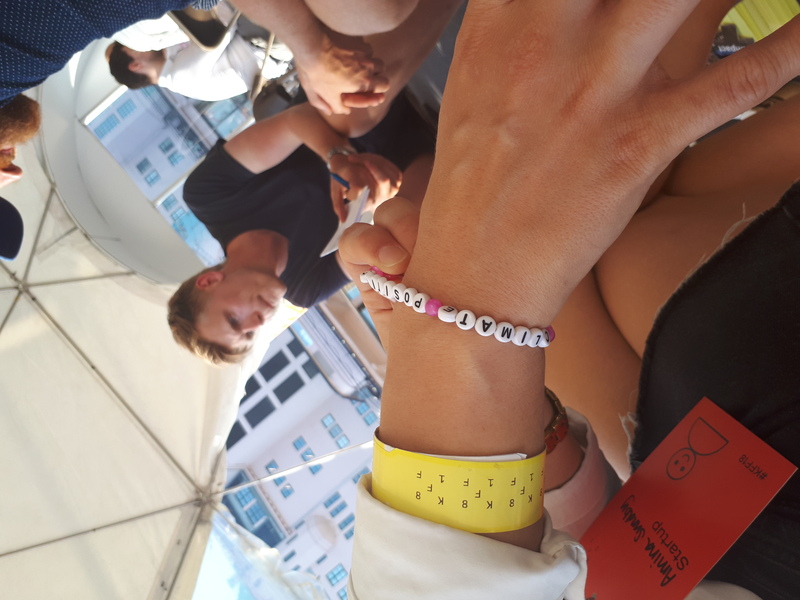 The organizers of Katapult envision the potential for Norway to be a global leader in sustainable innovation. Norway has many characteristics that could contribute to making this a reality including a strong social contract and democracy, an extensive social safety net means less risk to entrepreneurs and their families, a highly educated population with nearly free higher education. However if university educations are to contribute they need to stay up to date on the frontiers of technological innovation. My education was a cross-disciplinary degree from UiB called ‘the environment and resources’. Many of the courses stressed the concept that innovative technologies would be important to sustainability but there was little to no competence amongst the teaching staff in how most cutting edge technology works on even a basic level. I doubt anyone in the geography department has more than a tentative grasp on the current state and possible applications of AI, machine learning, internet of things, blockchains, clean meat or autonomous vehicles & ships. As an urban species with a population over 7 billion facing global climate change, we have to start coordinating our resource use like never before. One of the most compelling reasons to use mass data for decision making is the proven human cognitive bias’ that prevent us from effectively thinking statistically or probabilistically (see Danial Kahneman, the only psychologist to win a Nobel prize in economics). Technology can also help us realize sharing economies. According to polls conducted by market research firms (f.e. Deloitte), millennials don’t want to own their own cars, they want access to them when they need them. Economic growth is not necessarily incompatible with sustainability but we need to change the way we produce and consume goods. The goal is to enable and incentive innovations that can help our civilizations survive and preferably live together less violently. Norway is a country whose startup scene could be on the cusp of going global. 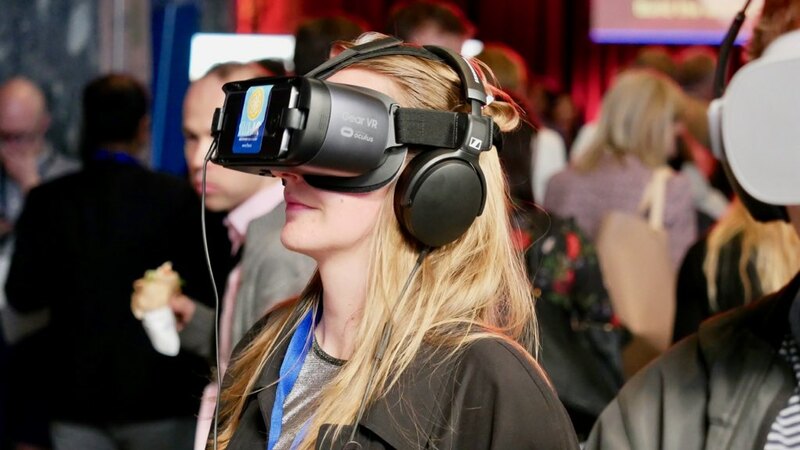 Katapult Future Fest aims to embody Scandinavian values, epitomizing Norway’s need to move beyond the ‘era of oil’ and look to generate valuable, measurable impact from investments, alongside financial return. The tracks at the conference included education, governance, food, economy, health and environment. There were also social and collaborative activities, including an interactive room with transformative technology (VR and AR). I got to try out some Virtual Reality headsets which are designed to help people envision a sustainable city and a future they can hope for. Compared to other tech and investment conferences, KFF is remarkably diverse. 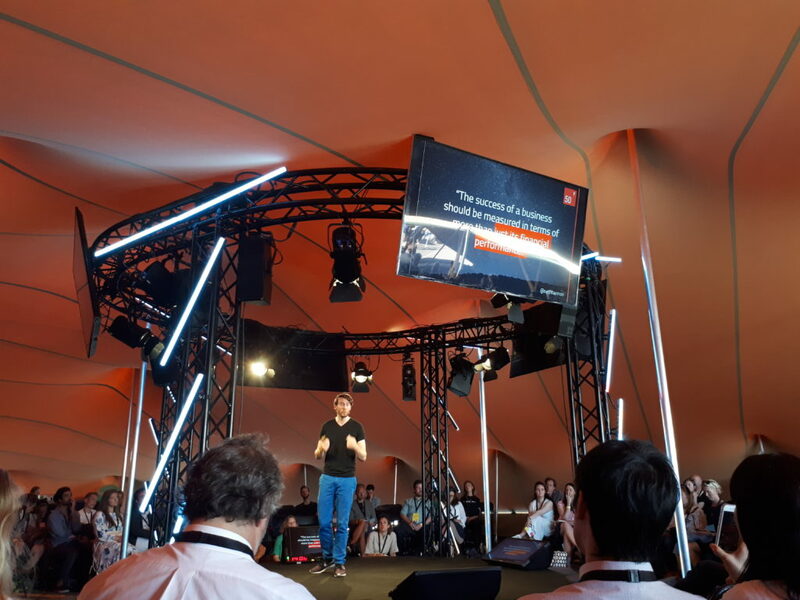 Especially concerning gender – over half the speakers as well as over half the start-up founders in the pitch competitions were female. That is a rare occurrence indeed, perhaps only matched by tech conferences specifically arranged by/for women. Additionally, over 100 countries were represented at the event. Through the presentations and mingling, I was able to meet people working on a myriad of different projects – many of which got me really excited. One of the people I spoke with was indeed a Harvard Professor. He later presented his work on using an autonomous AI research lab to find new molecular structures and materials. Alán Aspuru Guzik, professor of Chemistry and Chemical Biology at Harvard explained how the project had already aided in the search for new compounds needed for an organic, liquid battery for large scale energy storage. The Matter Lab combines cutting edge technology, chemistry and computer science to accelerate innovations particularly those that apply to ecological sustainability. Clean meat was another hot topic of discussion and entrepreneurship. Clean energy has already entered the popular lexicon as a necessary goal for the future and many people at Katapult argue it’s time we start talking about clean meat with the same amount of momentum. Animal agriculture accounts for more GHG emissions than all transportation globally. Meat accounts for around one-fifth of freshwater consumption globally, most of it being used to grow animal feed. Livestock-related deforestation is the leading cause of extinction worldwide, and forests are critical global carbon sinks. Chatham House projects worldwide meat consumption will rise 76 percent by 2050, challenging global ambitions to limit carbon pollution. Eating meat is a status symbol the world over and the effort to convert enough people to vegetarianism in order to address this problem is simply not effective or fast enough. If the growing middle and upper classes don’t change their eating habits, the planet will not be able to feed everyone – especially considering the inevitability of large scale future crop failures due to climate change. Animal agriculture is not only unsustainable it is one of the biggest environmental challenges we face today and also one I am optimistic about being a good fit for a technology and finance solution. Researchers have determined that the three main factors that determine food choices are taste, price and availability. Impossible Food, creators of The Impossible Burger conducted intensive tests to determine the molecular structure and essential characteristics that define the taste of a hamburger. One important discovery they made, was that a lot of the burger’s traits come from one specific protein: heme. Heme can also be found in the roots of the soy plant. Using heme, wheat, coconut oil, potatoes and other plant-based ingredients, they made a vegetarian burger that looks, smells and tastes pretty much like the real thing – it even bleeds. The Impossible Burger uses 90 % less land, 74 % less water and produces 87 % less greenhouse gas emissions compared to a traditional burger. Lab-grown meat is on the horizon also. But through innovations such as plant-based burgers, we already have great alternatives to meat. It’s here right now. The Impossible Burger recently appeared on the menu at White Castle in 140 locations— the first plant-based patty to be sold in an American fast food restaurant. You can get an impossible slider for $1.99. It has a competitor, too—The Beyond Burger, that can be found at supermarkets. While some, like Impossible Food and Beyond Meat, are creating plant-based alternatives, others are pursuing cellular agriculture—growing real meat in the lab. Some projects, fe. Memphis Meats, are already in production several places in the world. The challenge here is that it is still demanding and costly to produce. According to Quartz, a pound of cell-cultured beef would have cost 1.2 million dollars per pound in 2013. Since then, the price has fallen more than 99 %, but it’s still much higher than your usual animal-reared meat. One more alternative to meat is insects. Insects are very high in protein and are already eaten in many parts of the world. The farming of insects is still not industrialized at scale, but many have predicted that it won’t be long before you find frozen grasshopper burger patties at your local supermarket. 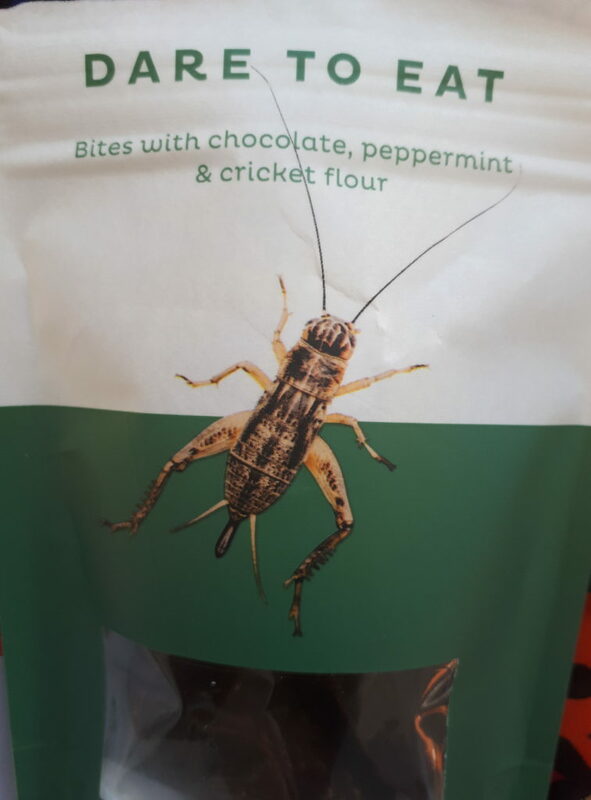 Cricket flour produced in Denmark is already available online and in specialty stores. Various snacks made with the flour are also available. 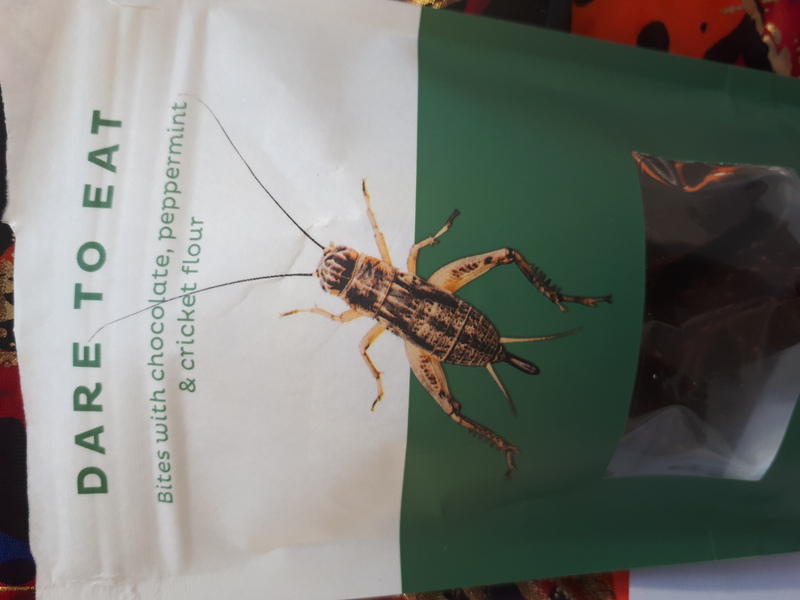 At the conference, I ate some chocolates made with cricket flour and it was pretty good. The texture was a little granular and perhaps I would add more sugar or maybe some peanut butter they aimed to make the most environmentally friendly snack and it was overall pretty tasty. Speaking of nutritious things that we don’t harvest today: algae based food might an essential element of our diets in the future. Other products made from animals are also ripe for innovation. For example, using technology to 3-D bioprint leather or grow it from stem cells (in vitro leather) could be huge for the fashion and upholstery industries. I also met people working on data analytics for smart cities and internet of things solutions. The idea is to create a dense network of environmental data acquisition points for data driven decision making and predictions. One of the start-ups in the accelerator program has already developed and implemented Intelligent Algorithms, machine learning and data science terminals to provide analysis, reports and custom notifications on environmental parameters such as air and water quality. Other accelerator finalists included Ducky, which provides a platform for groups such as students, companies and policy makers to set challenges for themselves and track their progress towards climate change goals and Chooose, an initiative for civilians and companies to buy up carbon credits and not use them to reduce overall emissions. Trine is another company that makes it possible for anyone with some extra cash to investment in off grid solar projects of their choosing all over the world. The bottom up model means each project is an endogenous entrepreneurial project tailor made to each community. The idea is to achieve a bigger impact through economically sustainable investing rather than a one time charitable donation. If the project is successful, you make the money back plus some interest and you can turn around and invest that money in another project. Katapult‘s year long accelerator program isn’t the only successful one of it’s kind in Norway that is offering mentorship and investment matching to start-ups with potential. I met with the communications officer for the Young sustainability Initiative (YSI), Alex Moltzau who explained to me that after witnessing the Paris Climate conference in 2015, a group of Norwegian youth felt inspired to take it one step further by creating a global movement that could create and implement climate change solutions for problems such as poverty to climate change to gender equality. The initiative has grown to a global program and annual conference. Last year over 10,000 teams of youth under 25 from over 100 countries applied to the YSI global innovation program. Talented individuals are put in international teams of 3 people to create real start-ups that helps solve the sustainable development goals and are economically viable. They go through 5 modules and 10 objectives in five months. 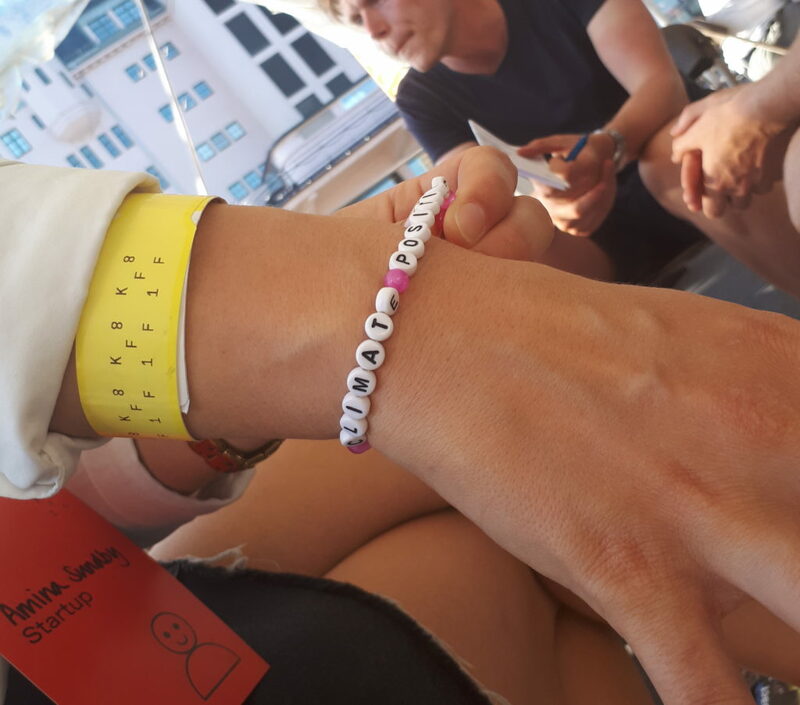 4,5 months is online and the two last weeks is in Oslo, Norway where they get a fully funded trip to meet mentors, their teammates and investors. All in all, these endeavors seem like the beginning of a phase shift towards a more inclusive and collaborative effort to tackle climate change issues and achieve maximum impact in a short period of time. There is room for everyone who is concerned to get involved. All these solutions require more than technical capability and finance. We need disruptive lawyers and policy architects to start working now to design the frameworks that make these solutions a reality at scale. For example, there are complicated regulations regarding both food and biotechnology that need to be negotiated and built on in order for the products to come to market. We also need cultural and institutional workers to help ease the transition cognitively and emotionally in the collective consciousness. People with humanities and social science degrees have invested in the ability to see context and perspective which is also a necessary component to making these solutions effective and ethical, but they have to work with the technologists and capitalists, not against them on ideological grounds. Keep in mind, many of the future degrees, titles and careers we might pursue to contribute don’t even exist yet. We are the ones to invent and innovate what the solutions look like and what expertise is needed to accomplish them.